If you are looking for a system speedup or registry cleaner, you should look no further than IObit’s Advanced SystemCare Ultimate 8. 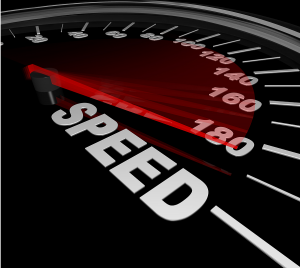 It takes care of questions like how to speed up your computer or how to clean up your computer with an easy to use layout and a plethora of options the can help as a PC optimizer pro or with speed up PC. In this Advanced SystemCare review, there are quite a few points covered include new features the update has to offer, updates to features seen in previous incarnations, and any features that might not be up to par with other market software. This version of IObit’s software includes an antivirus software which will very likely find your currently installed antivirus as a threat. One of the most helpful new features during installation is “compatibility mode” which which allows the program to install its antivirus alongside your preferred antivirus. The antivirus program installed with your new PC optimizing software has been tried and tested by some of the best over varying amounts of time with quite a few positive reviews. Threats were introduced with only this version of an antivirus working and, much of the time, software’s form of antivirus utility blocked the threats introduced into the experimental system purposefully. 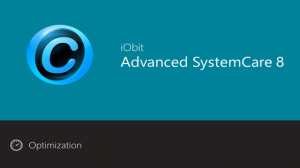 There are twelve tools to be toyed with in this version of IObit’s all in one software. Another set of 25 tools include memory optimization, disk scanning, and process management. The combination of these sets of tools help with everything from cleaning up the registry to securely deleting unneeded or unnecessary files so that your PC will be optimized for speed and performance. This update also includes a Plugin/Toolbar Cleaner which detects plugins and toolbars on your browser of choice and contains an option to delete any unwanted additions to your browser of choice. If start-up items are bogging down your PC’s run-time, the Start-up Manager module has undergone a bit of tender love and care, allowing for one-click optimization of start-up items. With this optimization, the loading of a few unnecessary services will be delayed while other services will be entirely disabled. “Disk Optimization” is the new name for SmartDefrag. This optimization now includes a one-click optimization option of multiple drives and an option for solid-state drives, allowing you to clean your drives as quickly and effectively as possible. Another feature included in the update to IObit’s software is the Turbo Boost. This sets your PC’s resources to the absolute best that this program can get them. This will improve speed and stability for any memory or graphically intensive programs you could be running such as programs like computer games or applications used for streaming media. Alongside this feature is the new Performance Monitor which shows the cooling fan speed as well as temperatures for the CPU, motherboard, and video card. With this feature, computer savvies will be aware when their computer may start to overheat with labor intensive programs, allowing the user to know exactly how hard they can push their computer at any given time. Some enhanced tools include the cookie crunching utility, newly named, but still misnomered, “tracking threats”, renamed from “malware threats.” This utility erases or deletes both system based, harmless cookies along with the third-party cookies that are considered potential threats to your system. Another feature included in the software is the option to search out and identify any weaknesses in how you have configured windows. “System Reinforce” also gives the option to re-configure your configuration of Windows for a much more secure environment that decreases the likelihood of invasions from hackers and other external threats that could invite themselves into your computer, a place only you should have access to. While there are major upsides to having IObit’s software on your PC, there are a few downsides. In the current state, both local cookies that allow for keeping certain things locked into your browser and the potential threats that are third party cookies are deleted if the user uses the cookie cleanup tool. If you wish to keep certain cookies on file for later use when returning to a website, you have to manually tell the software which cookies to keep and which to delete which can be very time consuming. One of the other downsides is the linking to other software downloads through IObit including an almost immediately link to download a program called “Driver Booster.” Many of these links, while seemingly useful, are just ploys by the company to get consumers to download free versions of the software in the chance that they may decide to upgrade to a “Pro” version in the future. All in all, if you can handle the linking and do not mind resetting cookies every so often, IObit’s Advanced SystemCare Ultimate 8 could be the all in one system speedup and registry cleaner that fits your speed and convenience needs.